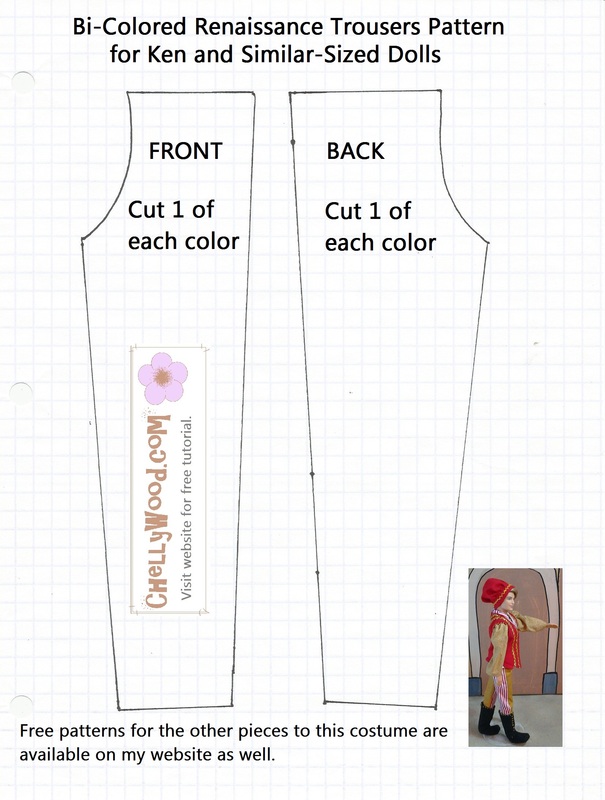 Today I’m sharing my patterns for the costumes shown above. 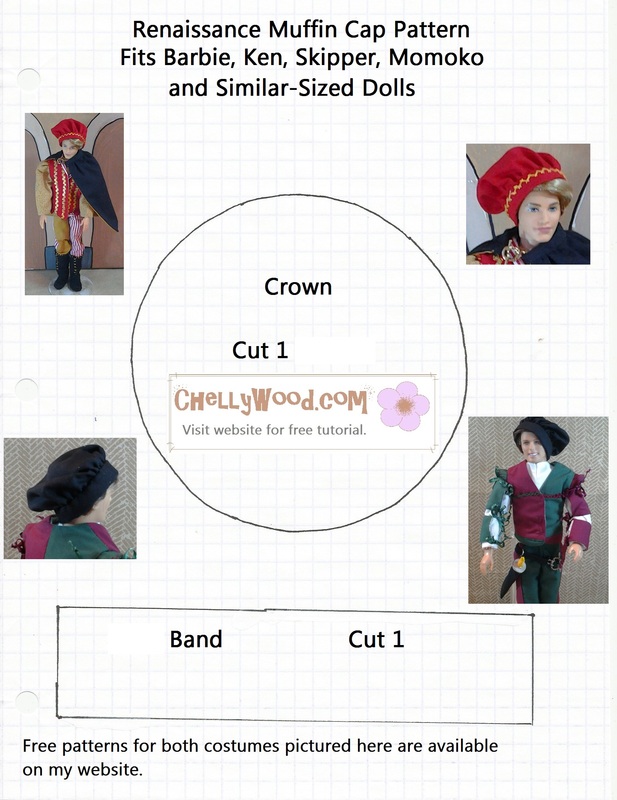 The patterns are free and printable, right here on ChellyWood.com! 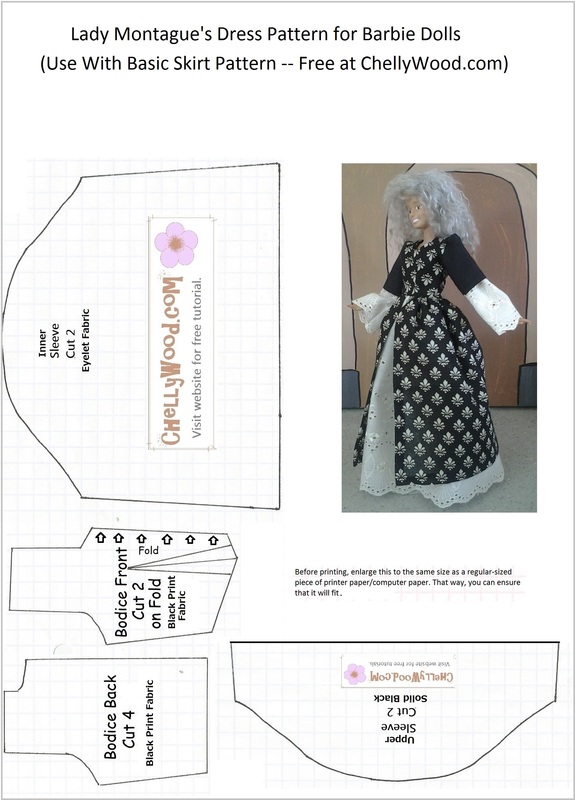 The image shows the dolls I’ve dressed as Lord and Lady Montague for my dolly version of Romeo and Juliet. Visit that link to see a trailer for the stop-motion film I’m in the process of making. If you’re new to my YouTube channel, it will be the first video you see at the top of the page. These two dolls make a fantastic royal couple, don’t they? Lady Montague’s dress is quite regal, with its pattern of French style fleur-de-lis. And of course, her handsome dance partner, with his muffin cap and elegant tunic, matches her in a fleur-de-lis pattern as well. 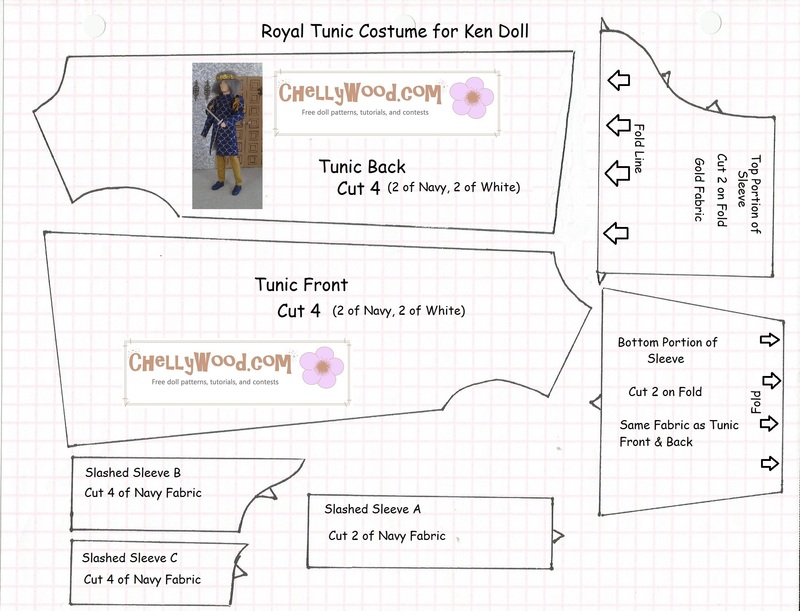 The costumes will fit most fashion dolls, including but not limited to Mattel‘s Barbie™ and Ken™, Spin Master Liv Dolls, Ever After High™, and many others (although the muffin cap only fits dolls with smaller heads like Barbie™, Ken™, and Momoko™ dolls). 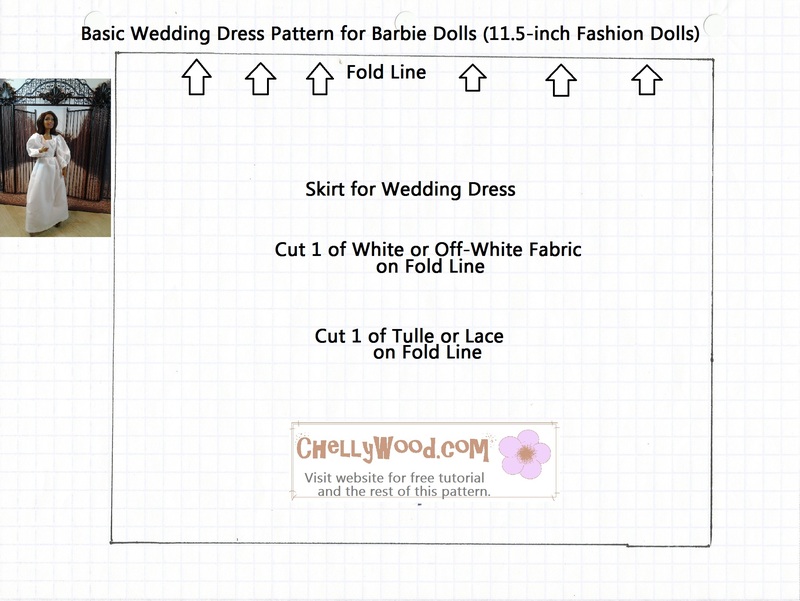 So let’s get to the patterns and tutorials, shall we? Next Next post: What #Magical Places Did Chelly Visit While on #Vacation at #Yellowstone?